Rachel moved to Seattle from the east coast in 2011 to pursue a career as an Occupational Therapist and to seek outdoor adventure. She graduated with a Master’s degree in Occupational Therapy from the University of New Hampshire where she designed her own minor in “alternative medicine and healing”. She has gained professional experience in many settings including skilled nursing care, acute care hospitals, inpatient orthopedics, home health, and inpatient acute rehab. Through work in these settings, Rachel learned how to assist adults in living their lives to the fullest with creative and realistic interventions, environmental modifications, and family caregiver training. Rachel began training at the Northwest School of Structural Therapy in Seattle and was thrilled to discover a like minded community of practitioners committed to exploring creative avenues towards healing and recovery from trauma and injury. She received her certification as a Bowen Therapist in 2014 and now practices Occupational and Bowen Therapy at the Seattle Center for Structural Medicine. She also treats adults and children with a variety of physical and developmental diagnoses in their homes. Rachel continues to enhance her manual therapy skills and structural integration techniques to treat the complex neurofascial system by receiving advanced training in a Tensegrity Medicine Mentorship Program. Rachel practices her healing therapy with a holistic view of health to include physical, occupational, emotional, social, spiritual and environmental needs. 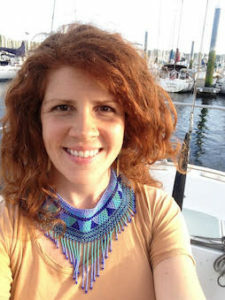 In her free time Rachel loves singing, traveling, dancing, healthy food, yoga, hiking, camping, swimming in cold water, and connecting with family and friends.